Let’s play pretend! Let’s say rather than Russell Wilson throwing an interception at the end of the Super Bowl this past Sunday, he throws a touchdown. What an amazing game! Seahawks come back and score with seconds left! That short pass was a genius call! Pete Carroll is one of the great coaches ever. Pretend is fun! It’s a fine line between hero and goat. Again the media is dragging this thing out. The worst part for Pete? He is being interviewed by Matt Lauer today. What’s Matt gonna ask him? Nothing new. 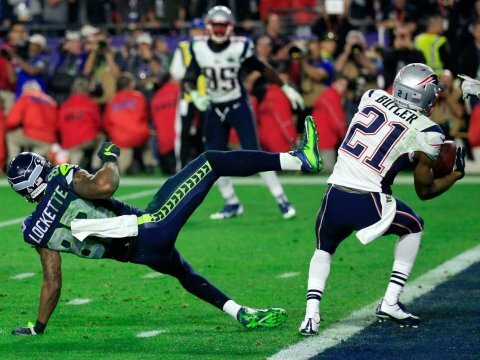 I feel bad enough that the play is being called “the worst call in the history of football.” Really? EVER? 49er fans might disagree, right Brother John? 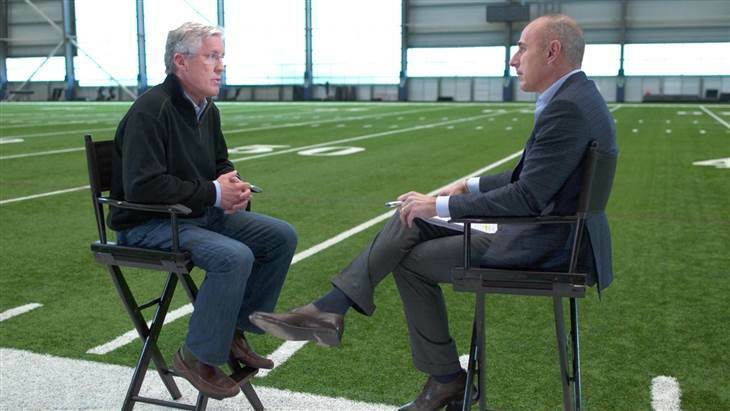 It would be great if Pete just said, “Shut up, Matt… what do you know about coaching and NFL team?” Carroll took them to the Super Bowl in consecutive years!! With a 26 year old quarterback they drafted with the 12th pick of the 3rd round!! Wilson has won as many Super Bowls as Peyton Manning and more than Dan Marino!! On one hand it’s only football. Lighten up people, it IS just a game. On the other hand it’s football!! We Americans take our football seriously and Seattle is still in mourning. On another hand at least it’s just football and not another tragedy. No Seattle, I mean like “tragedy”. And yes, I have three hands. I’m good at juggling. If you watch the play in slow motion it looks like an easy completion. It’s one of the easiest passes to complete and it’s nearly impossible to defend. When the ball leaves Wilson’s hand the receiver is wide open. The guy on the Pats just made a damn great play. He did his homework and knew the pass was coming. Absolutely. In typical American fashion we’re concentrating on the negative rather than praising Butler for the good play. Hey! Go move to Russia!